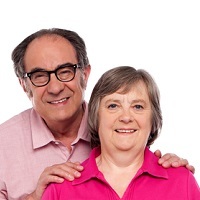 In many areas age UK run a handyman scheme. For a small charge, and if you are over 60, this scheme may be able to assist with small jobs such as fitting hand rails, spy holes in your door, replacing tap washers, and fitting smoke alarms or telephone extensions. 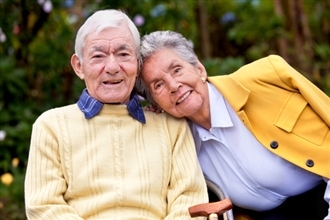 To find your local age UK service click here. 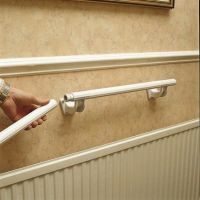 Stair and grab rails are only as strong as the wall to which they are fixed and the fixings that are used. Unfortunately many modern houses have internal walls that do not provide suitable anchorage for rails. The material of the wall will determine the correct type of fixing . Good quality traditional masonry and bricks should cause little difficulty if the recommended fixtures and procedures are followed. A plasterboard or tiled surface should not effect the fixings, providing the whole depth of the fixing is supported by the masonry. Most dense concrete blocks are strong enough to support rails. However, care should be taken as their composition may make it difficult to drill a straight hole through them. If the wall is made of lightweight, aerated and hollow brickwork, then even specialist fixings may not be able to withstand the loads from rails. The insides of hollow blocks are often filled with a polystyrene type insulating material which will not provide enough support for fixtures screwed into it. Supporting fixtures should be attached to this type of wall using specific wall- mounted support products. Partition or stud walls can usually be identified by knocking on the wall and hearing a 'hollow sound'. The addition of a backboard on partition walls is advised when fixing rails to it. This should be a flat, unknotted piece of wood, which is screwed into the vertical joining pieces (studs) of the partitions. The grab rail/s or stair rail can then be attached to the board. If a stair rail cannot be securely installed to a wall then vertical stair rail supports can be used to attach the stair rail to the stairs themselves. The vertical bars are available with two fixings which attach to your stair's tread and wall string or three fixings which attach to your stair's tread, riser and wall string. For more information click on the picture below.